We’ll help your home shine like the masterpiece that it is. Like maintenance, cleaning is something no one wants to do. That’s where we come in. The Home Maintenance Organization can provide impeccable housecleaning – everything from carpet cleaning and mopping to dusting and straightening. We even do windows. 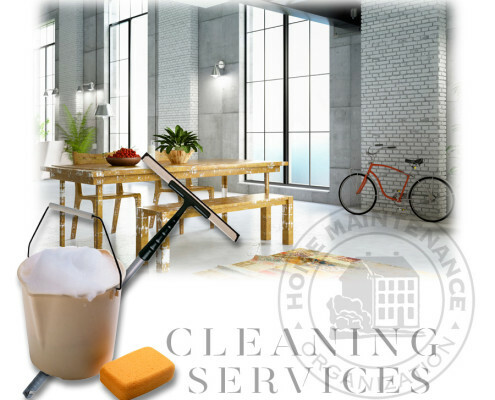 We can handle all of your house keeping and cleaning needs quickly and professionally. The Home Maintenance Organization will meet with you and help you map out a house keeping schedule based on the size of your house and your specific needs. You decide what house keeping you want us to take care of, and how often you want us to come out, and we’ll take it from there. Our staff of cleaning professionals know how to get a home sparkling. We sweep behind the furniture and get into the nooks and crannys. It’s a top-to-bottom, inside- and-out, front-to-back house cleaning service. Once you try us, you’ll find all kinds of things to do with the time you’ve freed up. After all, your time is valuable. Why spend it doing housekeeping when we can do it for you?